Jessica Smith is one of our 2017 Awardees for Horticulture who will be travelling overseas later this year. We asked her a few questions on how she got where she is. How did you get interested in horticulture? I finished year 12 with a desire to work but no real idea what to do next. 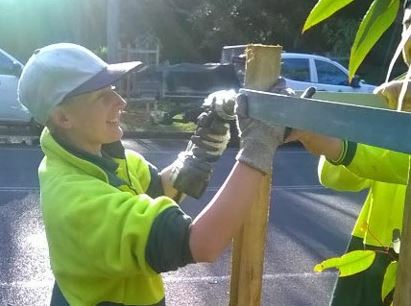 I looked at the TAFE courses available to me and was immediately drawn to the horticulture courses – I like the outdoors and the professions that were available to me with a horticulture qualification were attractive. I’ve always been passionate about the environment and it appealed to have a career in caring for the earth. What courses and professional qualifications did you do? I enrolled in the a Horticulture Parks and Gardens Cert III at TAFE and loved every minute of it! It involved lots of hands on experience and I really enjoyed improving my skills in a practical setting. It took two and a half years to complete, and during that time I was keen to earn some money. I contacted an organisation called 1300 Apprentices initially for an IT apprenticeship, but when they heard what I was studying they were able to offer me an apprenticeship in horticulture. I really enjoyed that placement and was excited when 1300 Apprentices selected me for the LNA Apprentice of the year for Horticulture 2016. How did you hear about BBM Youth Support? Graham Ross, prominent Australian horticulturalist, heard about me due to my LNA Apprentice of the year win, and told me about the opportunity. I’ve always wanted to travel and develop my skills overseas and jumped at the opportunity to apply. I’m now finalising my travel plans and can’t wait to hear what the future holds for me. What advice do you have for anyone wanting to follow in your footsteps? Be enthusiastic and do everything 100%. If I had not done well at TAFE and my apprenticeship I never would have been able to receive they BBM Youth Support award. Work hard at everything you do, you never know where it could take you!